Be a part of your community in Sterling Heights, Michigan by volunteering for these good causes. With the holidays approaching, community service entities need more people to help out more than ever. Connect with your community and experience something new with these opportunities. 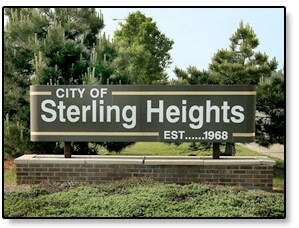 Even a simple donation would bless the people in Sterling Heights. Grace Christian Church is hosting its 6th annual Thanksgiving Dinner and outreach. Families will receive a free meal and free groceries. Registration is required with ID. The drive is free and is on first come first serve basis. Event Occurs on Sunday, November 15, 2015 from 4:00p.m.-6:00p.m. Help Your Community By: Donate non-perishable foods such as canned foods or boxed foods to the Bring HOPE desk through November 15, 2015. A list of food items needed for the drive is available at the Bring HOPE Desk. The drive recommends to not bring foods in glass containers or expired food. If you are interested in volunteering for this event, please sign up at the table in the lobby. Grace Christian Church address is 33801 Van Dyke Ave, Sterling Heights, MI 4812. Community Christian Church is hosting fun night full of games, prizes, and entertainment- perfect for families. There is even a silent, live, and progressive auction. This event is to raise money for the youth and children’s budget. Help Your Community By: Donate items for the event by visiting the Children’s Fundraiser Board in the church lobby and grab a tag, which will tell you what to buy. All donations must be turned in by Thursday, November 12. The date of this event is Thursday, November 19th at 6p.m – 9p.m. At Heritage Church, there are numerous ways to reach out to your community. Join this establishment by going to their next Volunteer Connect Event. Learn how to use your skills and talents to change people’s lives. You’ll have the chance to observe ministry areas and sign up for opportunities you find interesting. The next event for the Sterling Heights Campus is on Tuesday, November 17. Call 586-997-9490 for more information or visit their website. To donate food and/or volunteer, contact the church for their opportunities. To learn more about this ministry click here. To view their Facebook page click here. Take the first jump to impact people’s lives and find a community service opportunity near you. Contact your local church, school, or city for more ways to enrich the lives of others.